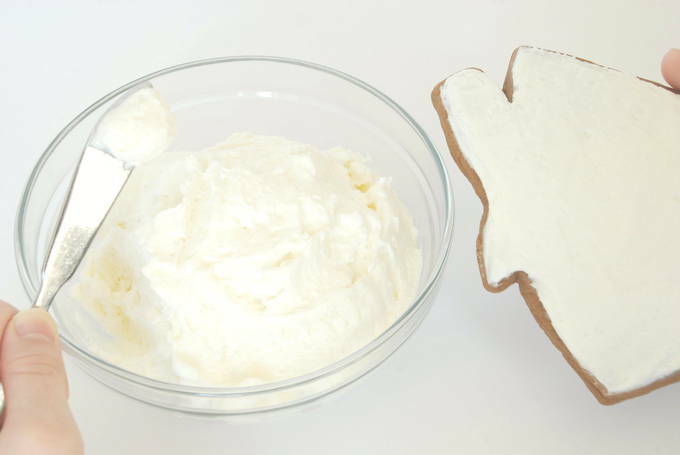 My “lick it off the cookie” frosting only has four ingredients – but adds sweetness and moisture to cookies. I was teaching a girls group to make gingerbread cookies. The girls cut the cookies out, then their moms baked and frosted them. I noticed the moms had stopped frosting the cookies. And they were eating the cookies – a lot of cookies. One of the moms said, and I promise you it’s true, “I would lick this frosting off a slipper.” Yes, it’s that good. I use clear vanilla so the frosting is as white as possible. 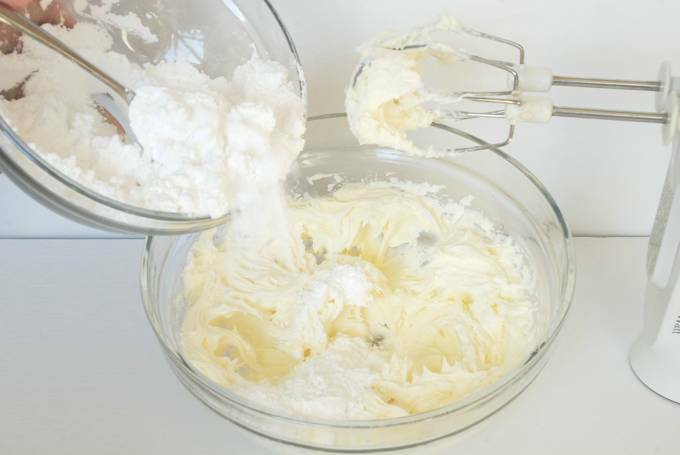 In a large bowl, with an electric mixer, cream the butter. On low speed, gradually add the powdered sugar. Mix to combine. Then add the milk and vanilla and beat, scraping the sides of the bowl, until thick. Mix in food coloring if desired. Spread on cookie. 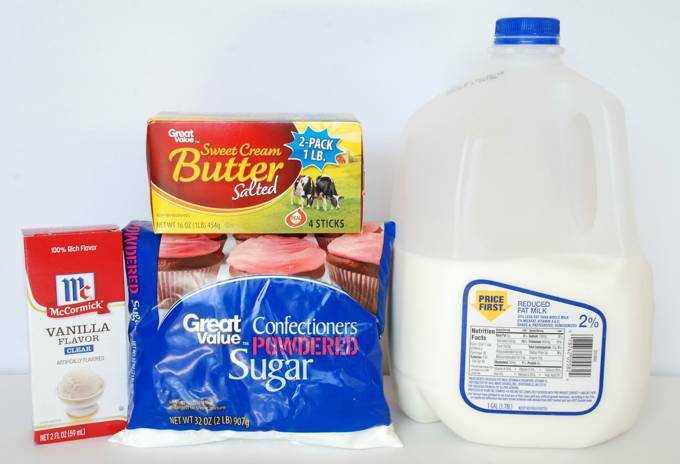 This frosting is very moist, so store cookies in a single layer. It thickly covers 9 (large) to 12 (medium) cookies. So you may want to double it. You’ll want this frosting on all your cookies and crackers. Just be careful – don’t drip it on your slippers!